"She wills her body to be equally wraithlike. Not sodden, not heavy, not dead, but filled with crackling, electric life, like a stale Marlboro on fire." Unemployed business major, Penny, has rebelled against her family her whole life - by being the conventional one. Her mother was a member of a South American tribe; her father was a Jewish Shamanist with a psychedelic 'healing centre'. But everything changes when her father dies and Penny inherits his childhood home. Left weightless and unmoored after being the only member of her family with time for her dying father, Penny then finds his property occupied by a group of squatters, united in defence of smokers' rights - and herself unexpectedly besotted with them, particularly Rob, the hot bicycle-and-tobacco activist. 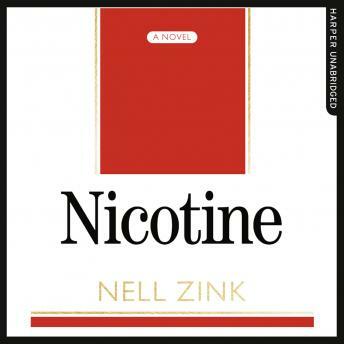 Totally addictive and dangerously good, 'Nicotine' is a fiercely funny novel in which passion is politics and nonviolence is the opposite of surrender.